The Alfa Romeo Scighera is a fully working, futuristically styled concept car designed and constructed by Italdesign of Turin, Italy in 1997. 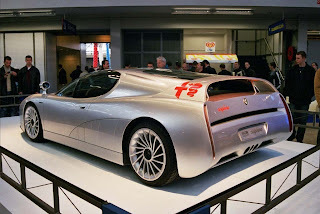 The Scighera is derived from the 164, and has an all aluminium body and frame structure is made of aluminium-carbon fibre composite, and powered by an Alfa Romeo 3.0 L (180 cu in) twin turbo V6 engine. This car can accelerates from 0-60 mph in 3.7 seconds. The engine produced 400 hp (300 kW; 410 PS) at 7,500 rpm. 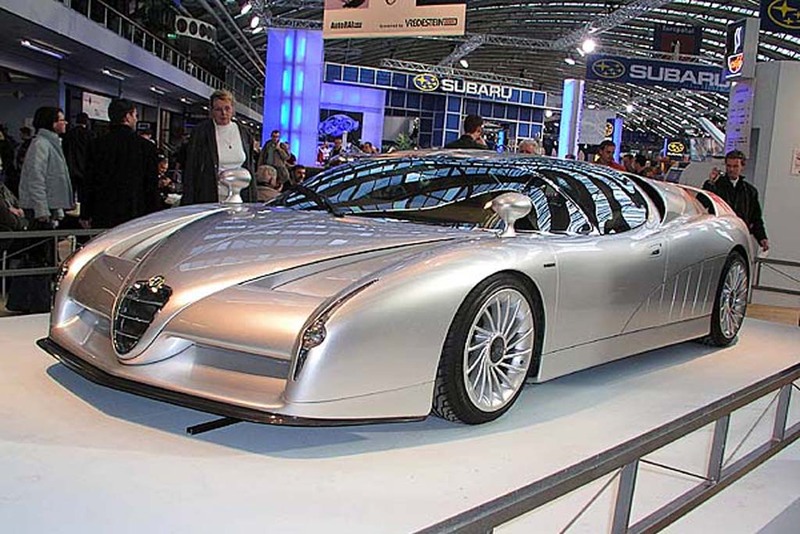 The Scighera had a top speed of 186 mph (299 km/h). The all wheel drive system was derived from the 155. 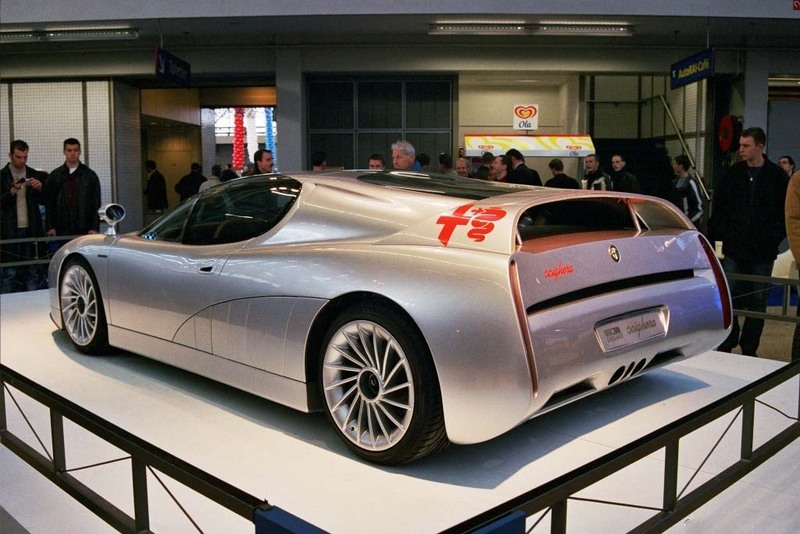 Italdesign was considering even a small-scale production, but it never happened. The car is featured in the 1998 racing video game Need for Speed III: Hot Pursuit as the Italdesign Shighera, but only in the PC version. The PSX version uses the Nazca C2 instead. Last updated on 30 December 2013 at 07:35.